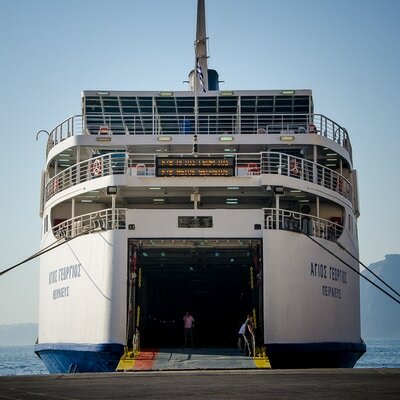 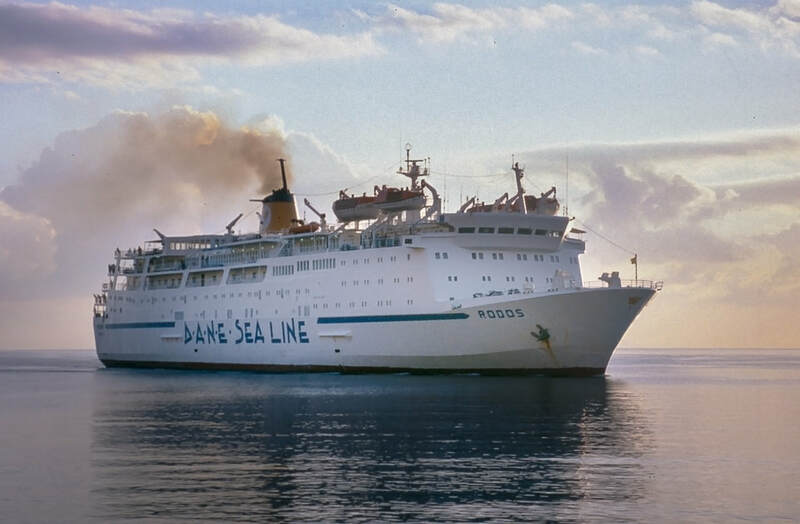 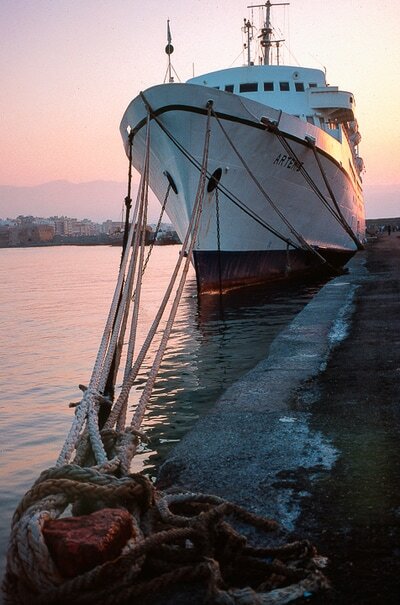 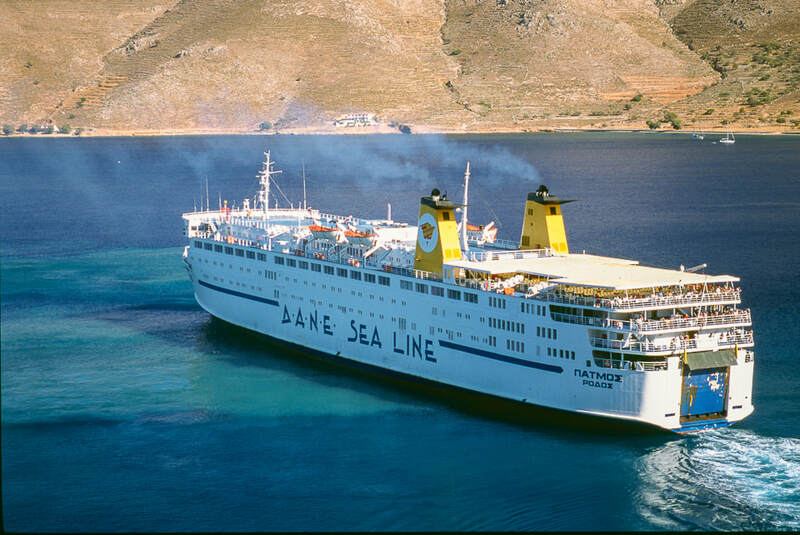 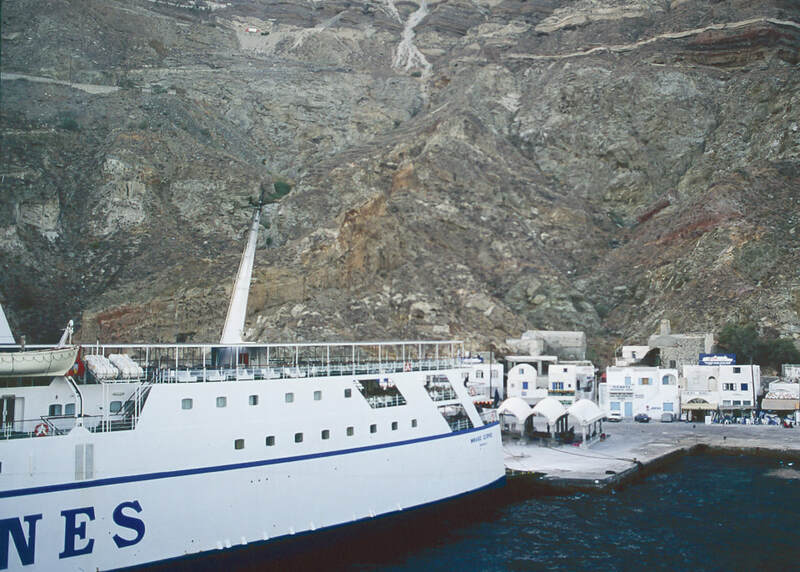 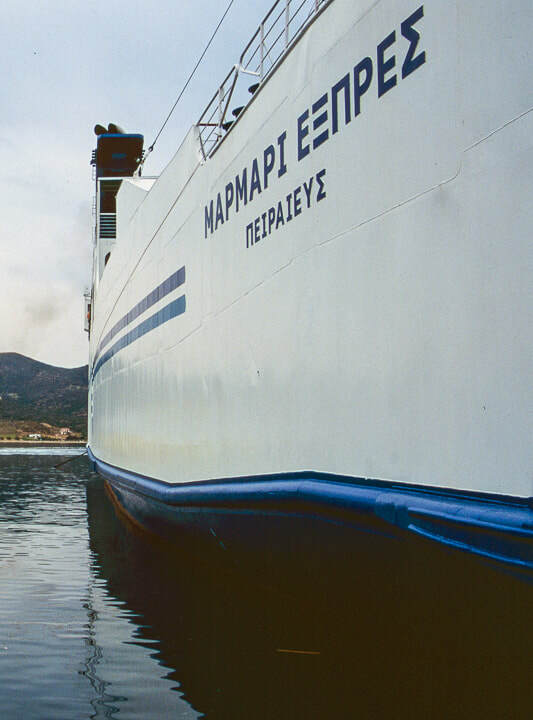 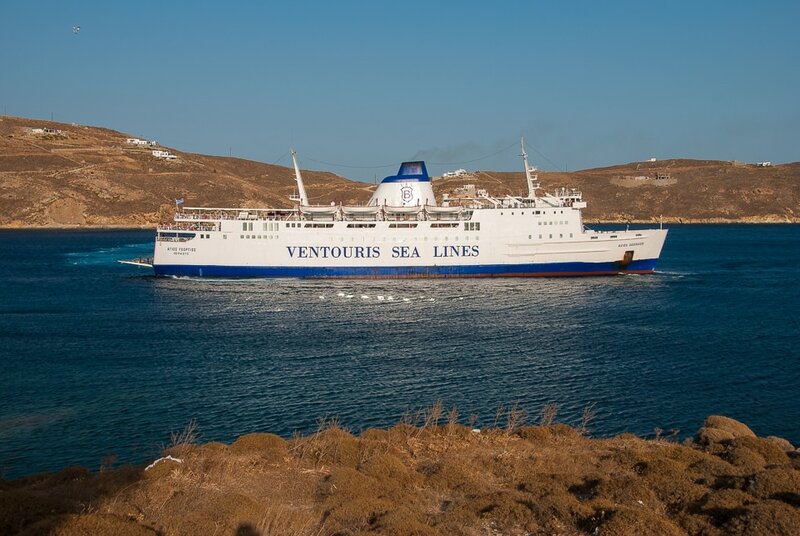 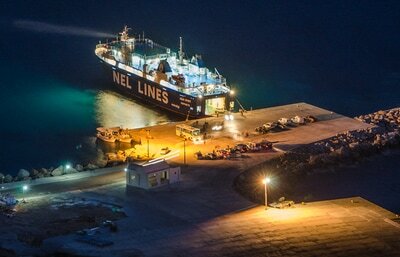 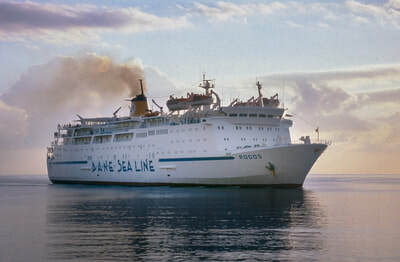 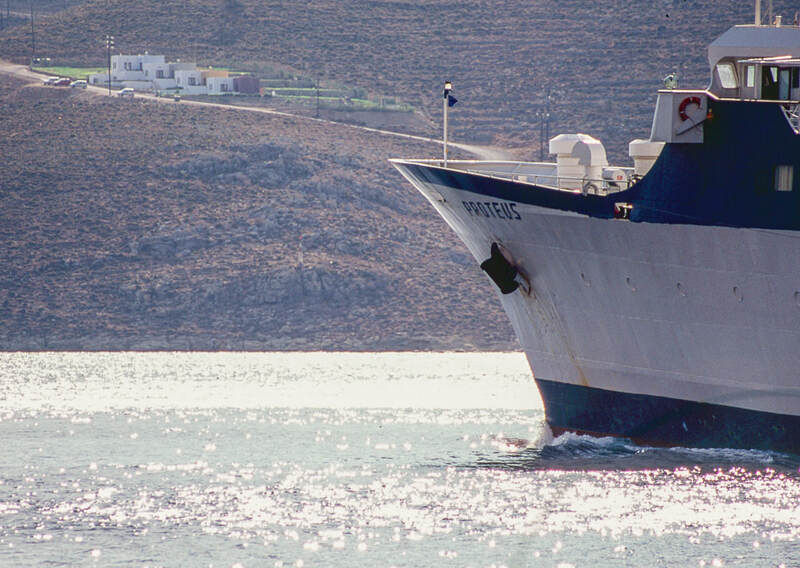 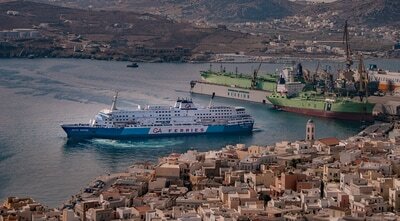 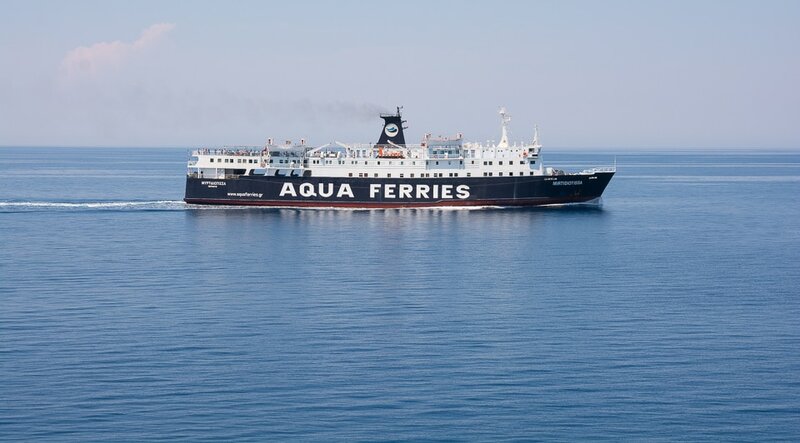 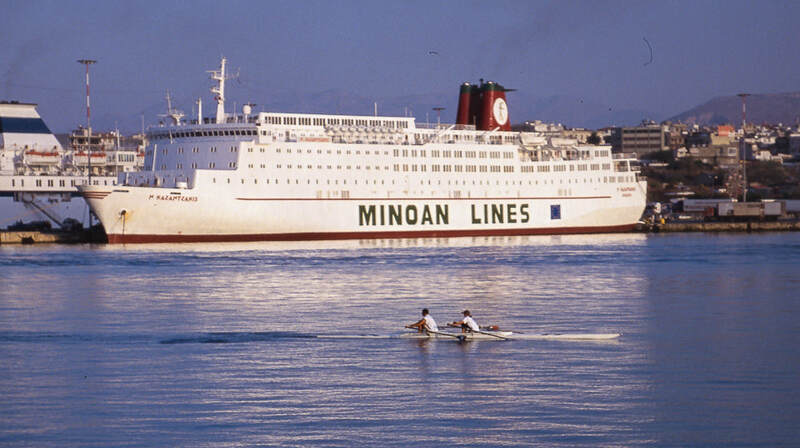 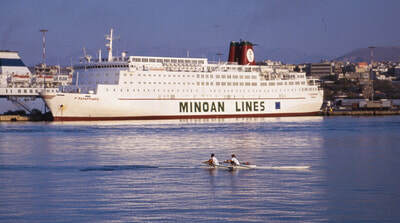 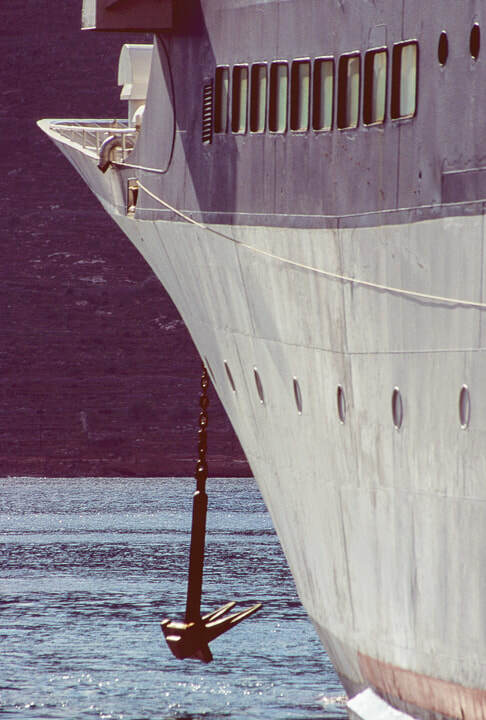 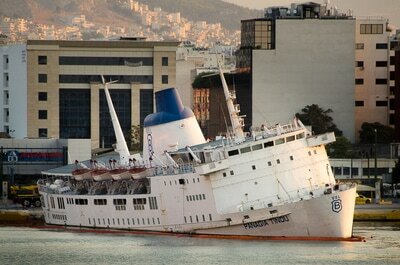 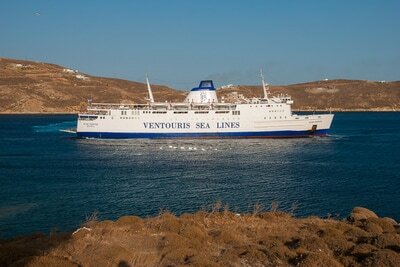 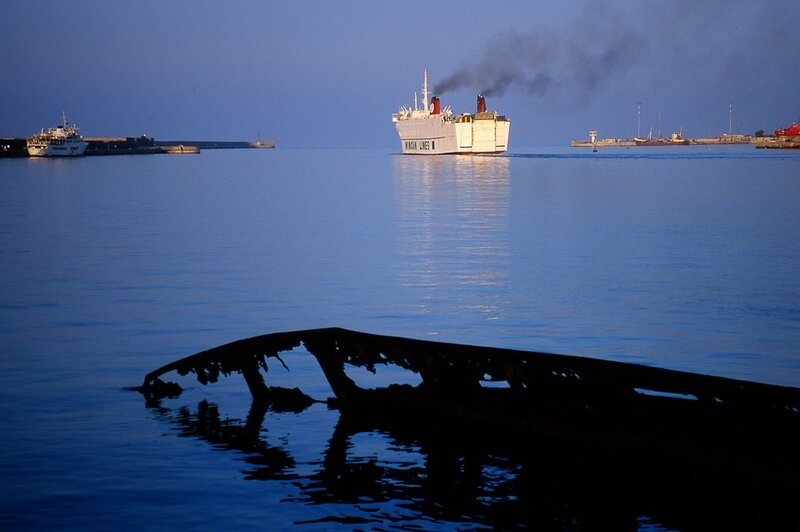 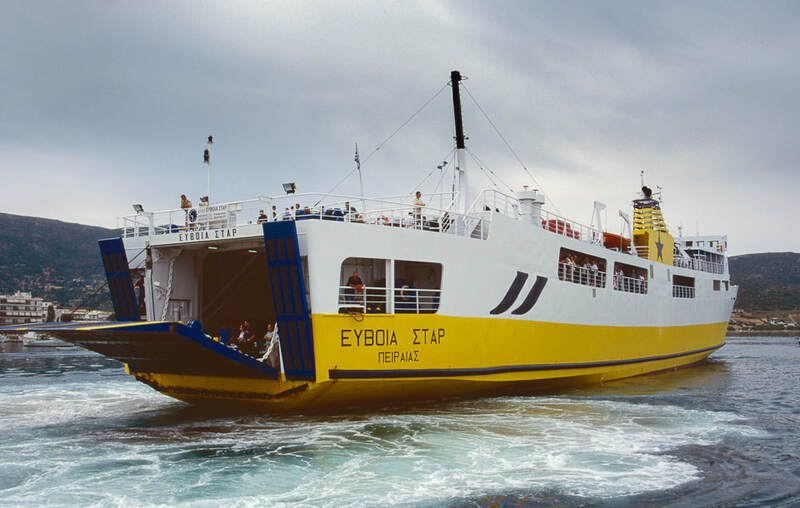 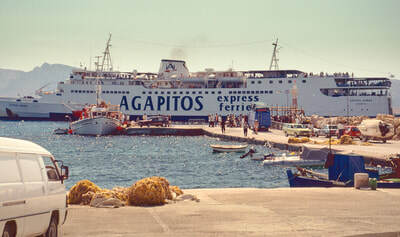 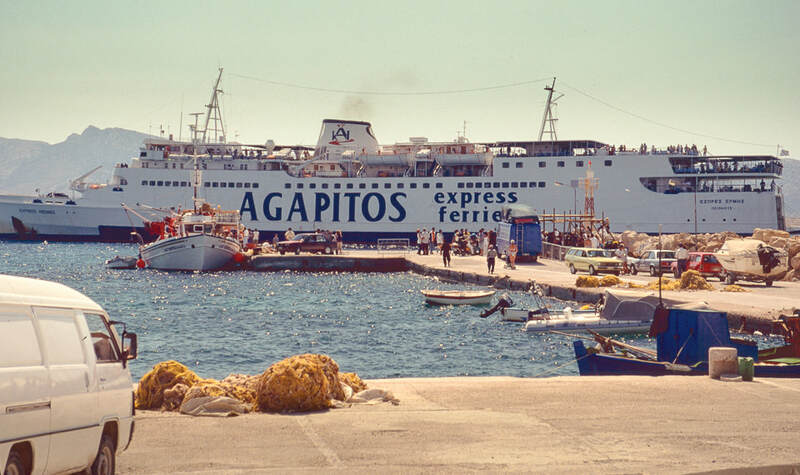 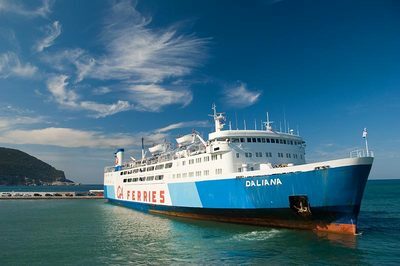 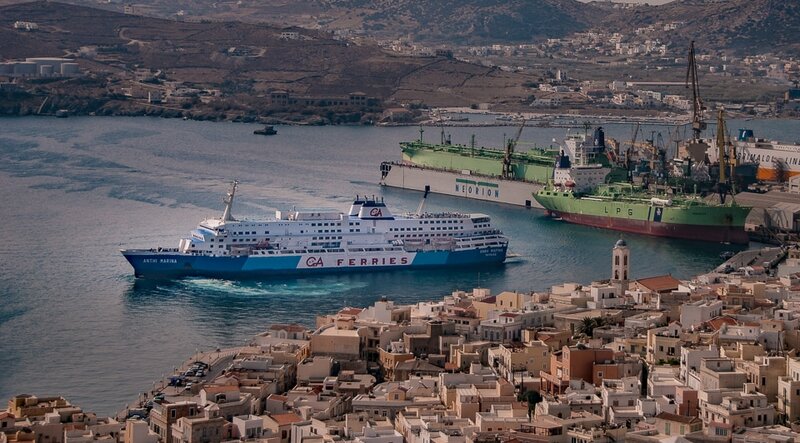 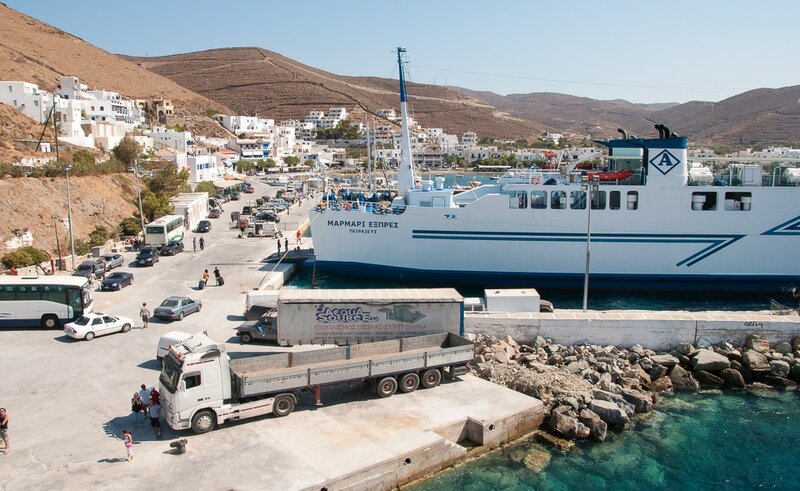 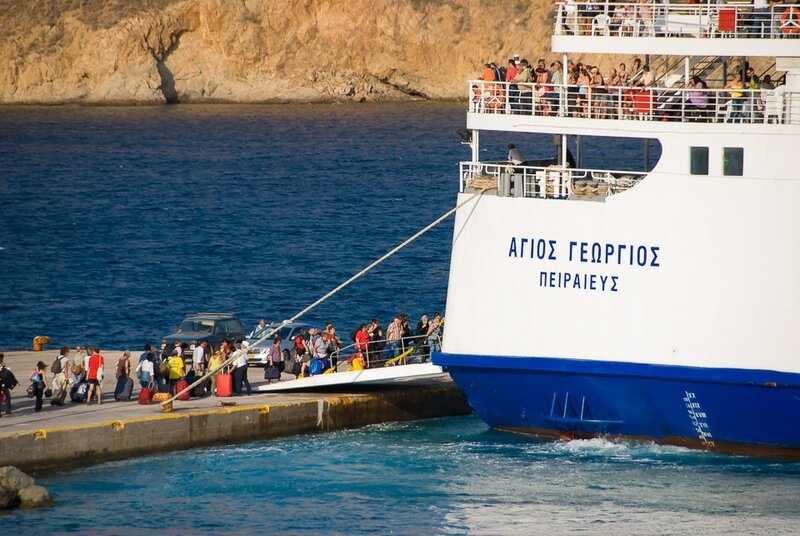 I thought it would be interesting to have a page dedicated to a few of the traditional Greek Island car ferries as some of these have a fascinating history, including a few that started life as cross-channel ferries and some that subsequently sank. Most have sadly now been broken up for scrap. 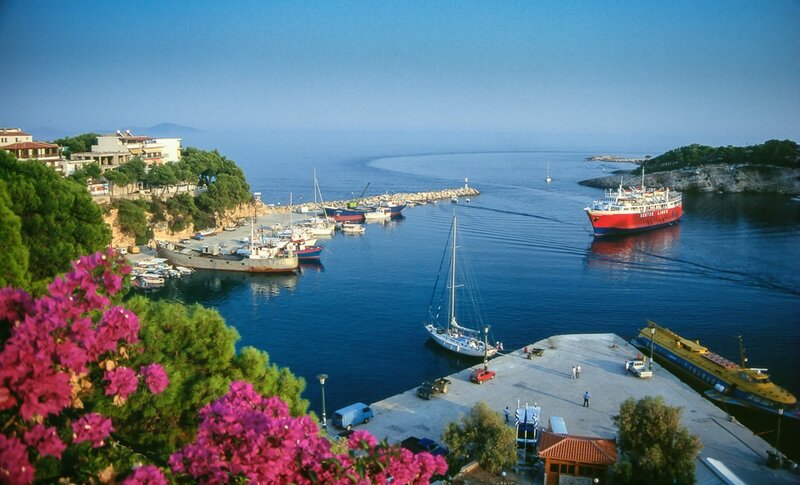 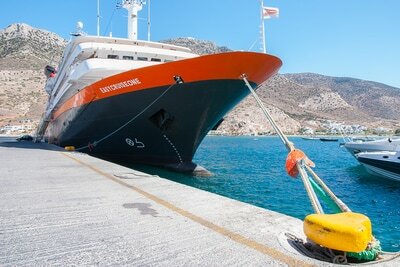 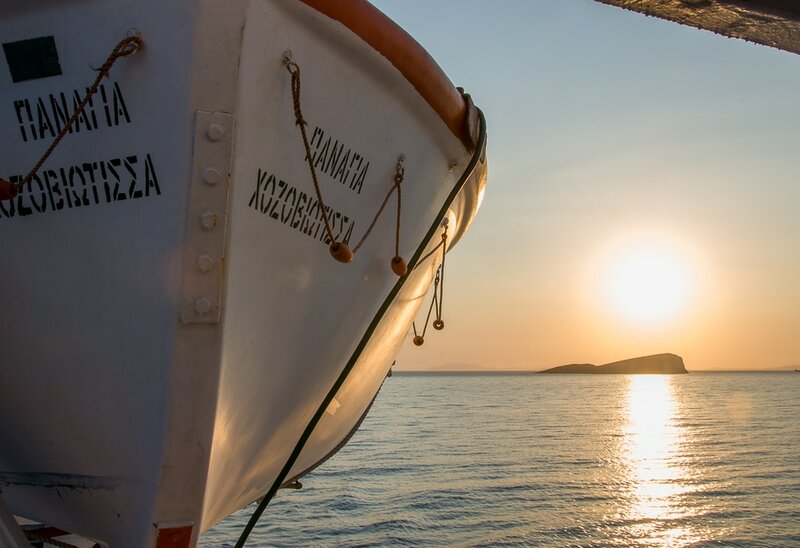 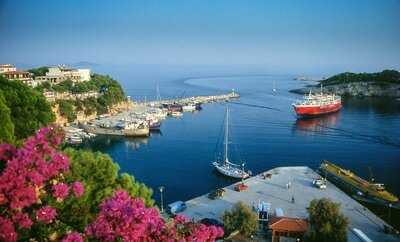 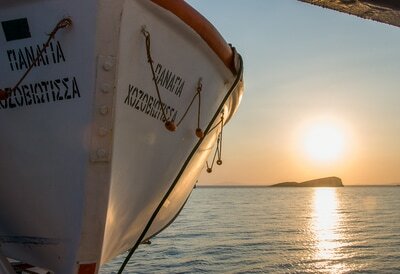 Since we started travelling in Greece, around 25 years ago, most of them have been replaced with modern super-fast catamaran-type things, with airline-style seats, air conditioning, televisions and no deck to sit out on and watch the world go by. 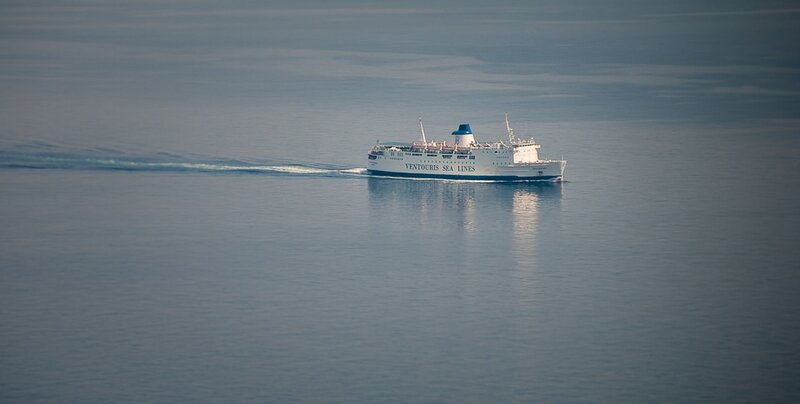 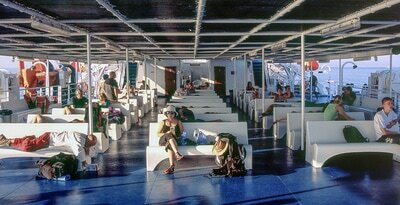 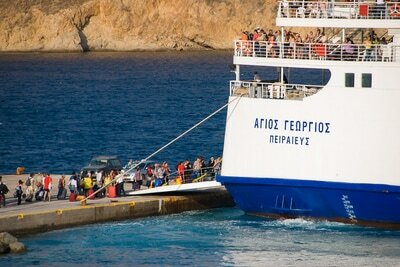 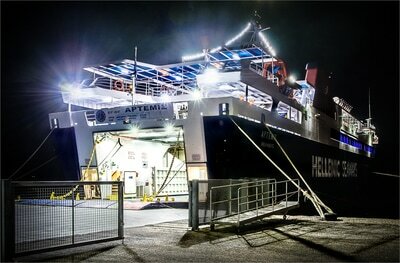 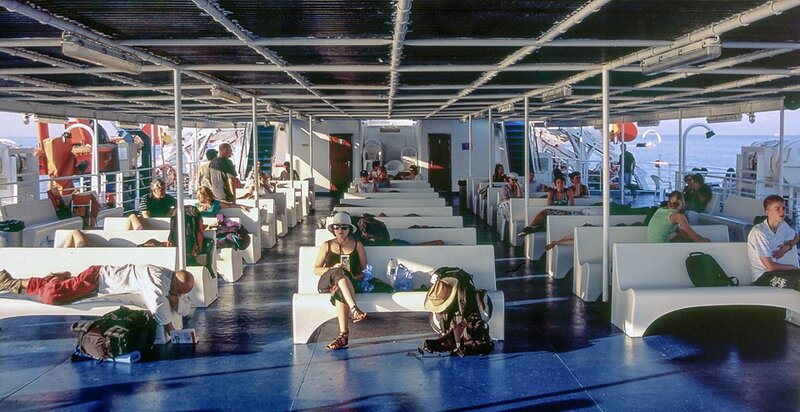 Having said that, there are a few newer faster car ferries with outside seating. 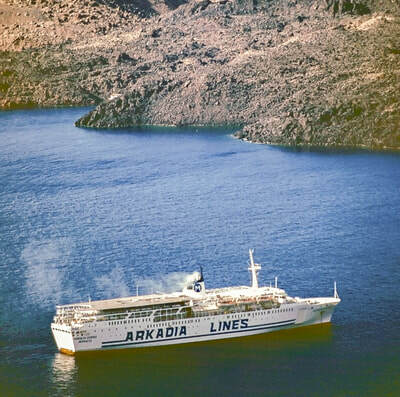 We miss the old ones so this is an opportunity to revisit some of them and learn a bit about their history and fate. 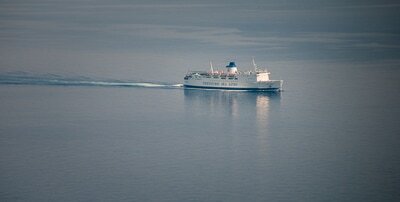 All the photos are mine but big thanks must go to the following excellent websites for filling in some of the details: The Ferry Site (www.ferry-site.dk), Dover Ferry Photos (www.doverferryphotosforums.co.uk), HHV Ferry (www.hhvferry.com), and Ship Spotting (www.shipspotting.com).